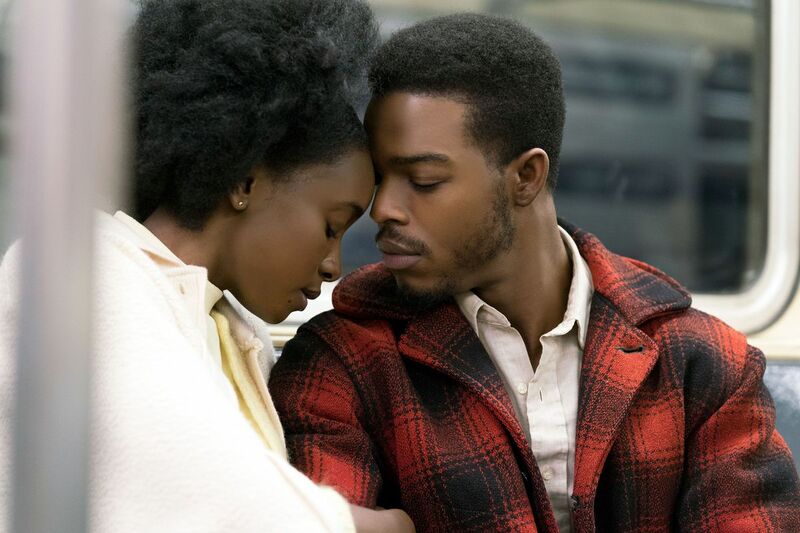 If Beale Street Could Talk (Movie) Review: A celebration of love and a condemnation of systemic racism – AiPT! The Academy Award nominations were announced earlier this week. Like every year, there were some snubs and a couple surprises, but the majority was what we had expected. If Beale Street Could Talk was nominated for three Academy Awards: Best performance by an actress in a supporting role, best adapted screenplay, and best achievement in music written for motion pictures (original score). I’d been meaning to get around to seeing this film and I finally did. Does it deserve all this praise? The film starts out focusing on a young couple living in New York City. The man (Alonzo/Fonny) has just been arrested for a crime for which he did not commit, and the woman (Tish) has just found out she’s pregnant. The entire plot is about the woman (Tish) and her family trying their hardest to prove Alonzo’s innocence. In addition to that, there are multiple flashbacks to past events that are pertinent to the plot. The issue of pacing comes to the forefront when there’s a layout like this one; will it turn out as choppy or seamless? If I’m being completely honest, the pacing is good, but not completely seamless. In the middle of the film, my mind did start to wonder where things were going and what we were aiming for. The beginning is very good and after we get past the middle part, things pick up. The middle section is where the audience may wonder a bit. I think the reason for that is that a few scenes run a bit long and have an overly drawn out feel to them. But don’t think this film is a complete bore, there are really well done scenes that hold a good flow. The beginning is effective in introducing us to these characters, especially when Tish announces the pregnancy to both her family and Alonzo’s. The writing is very good, particularly the scenes between Tish and Alonzo. I think both the scenes where the pregnancy is announced and the scene where Alonzo is talking to an old friend contain the best writing. The announcing scene holds so much power because of the stark contrast in the two reactions, one family embracing it with happiness and the other projecting their own bigoted beliefs and hatred. And I mentioned the scene involving Alonzo’s old friend because it dives into serious racial issues of that time period and does so in a very moving effective way. The performances are excellent, probably the best thing about the whole thing. Stephan James, who I absolutely loved in the Amazon series Homecoming, really shines. He gives a performance full of hardship and pain, both of which are felt by the audience. KiKi Layne, who plays Tish, is very good and plays the part with a convincing amount of commitment to the role of a heartbroken woman facing a crisis. Regina King, who just won a Golden Globe and was nominated for an Academy Award for this performance, is very good as Tish’s mother. The strength in her performance really shines in the scene where the pregnancy is announced. The section of the film where Regina King’s character, Sharon, flies to Puerto Rico is really great because it allows her acting ability to be put on display. It also shows that her character will do anything for her daughter. The ending puts a very important reality of the times on display, one that is central to the story. That issue is racial intolerance and white police officers unfairly arresting African Americans because of racism. I won’t say exactly say what happens in the final scenes, but they’re incredibly touching and draw attention to this issue without just coming right out with it. If Beale Street Could Talk is a well made film, complete with great performances and good writing. The pacing does become a bit sluggish towards the middle, but other than that, this is a drama I’d suggest that deals with important social issues. If Beale Streat Could Talk is a well written drama with great performances that deals with the issues of the time well. The only downside is that the pacing becomes a bit sluggish towards the end.